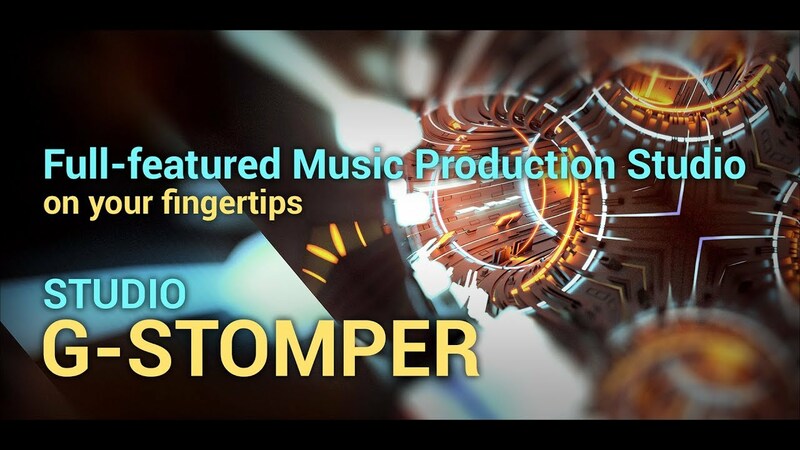 G-Stomper Studio is a Music Production Tool, highly optimized for doing Electronic Live Performances in Studio Quality. It’s a feature packed, Step Sequencer based Drum Machine/Groovebox, a Sampler, a Virtual Analog Performance Synthesizer (VA-Beast), a polyphonic + a monophonic Step Sequencer for melodies, a Track Grid Sequencer for Beats, a Piano Keyboard, 24 Drum Pads, an Effect Rack, a Master Section, a Line Mixer and a Live Pattern/Song Arranger. Wherever you are, take your mobile device and start straight away creating your own music. The integrated VA-Beast is a polyphonic virtual analog Synthesizer to produce complex synthetic sounds of any variety, designed for experienced sound designers as well as for beginners. So it’s up to you if you just explore the Factory sounds or if you start right away with designing your own sounds in impressive studio quality. Its sound capabilities paired with the intuitive and clearly laid out interface simply makes G-Stomper VA-Beast to the ultimate Mobile Synthesizer. You will be able to create the sounds you want, and you’ll do it faster than on any other mobile synthesizer. Also take a look at the G-Stomper Studio Product Page at KVRAudio.com.